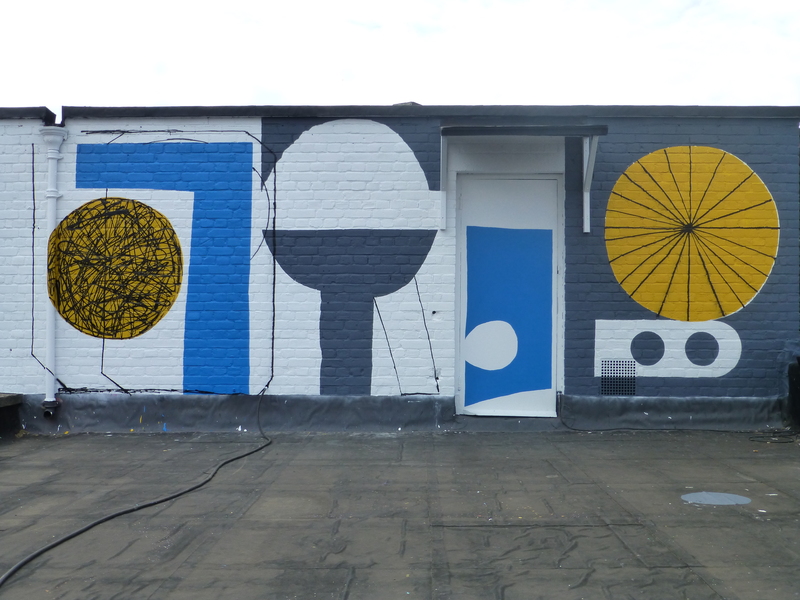 The Jealous Gallery has a new piece on their roof’s feature wall as a part of the ongoing Jealous Rooftop Mural Project. This time the work is from illustrator Stephen Smith, who works under the name Neasden Control Centre and work in illustrations and hand drawn typography. Stephen Smith has always worked in the studio as well as extensively in exhibitions and with installations, so this is one of his first ventures in to painting on walls. Yet again I was fortunate enough to be let up on the roof again by the kind staff of the Jealous Gallery and capture this piece to share with you all.